On 18 October 2008, I gave a joint presentation at a seminar in Wellington on the topic of ‘Eliminating Nuclear Weapons: Exploring the Next Steps.’ The presentation considered lessons from the Ottawa Process that resulted in the 1997 Mine Ban Treaty and the Oslo Process that has produced the 2008 Convention on Cluster Munitions. The presentation considered how these unconventional, but successful diplomatic endeavors could prove instructive in looking at how to move forward nuclear disarmament. 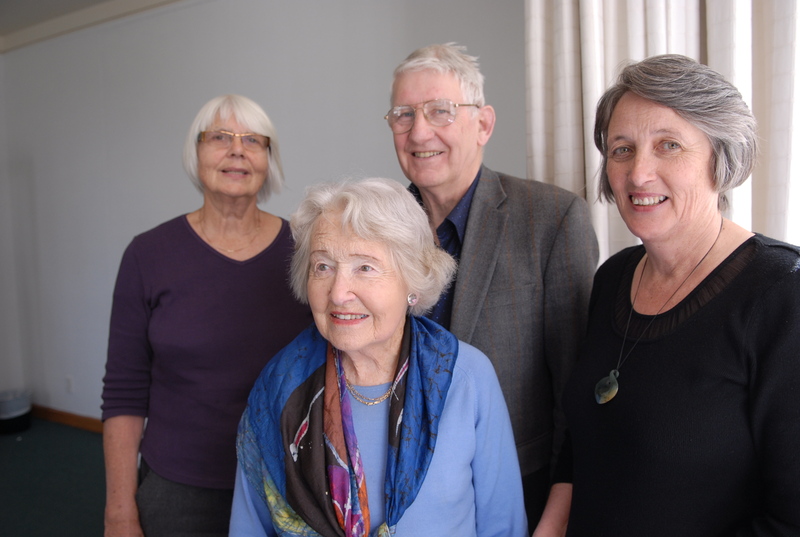 I gave the talk together with Edwina Hughes of the Peace Movement Aotearoa, who spoke about grassroots initiatives to tackle nuclear disarmament. We had an interesting discussion afterwards together with the workshop participants, including talking about at the power for nuclear weapons survivorsto play a greater role in campaign efforts. A colleague at Victoria University of Wellington, Davd Capie, has asked me to turn the presentation into a paper for a journal he is pulling together. Would be nice if I can get the time to complete it! Thanks to the National Consultative Committee on Disarmament for convening the workshop. This photo shows some of their long time members including my old VUW Professor Rod Alley.